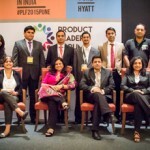 Product Leaders’ Forum, Pune 2015 – Junoon personified! Punekars are known to have a taste for deep experiences—deep experiences not just in savouring those, but also in creating those. When there is talk of products and Pune there is the feeling, perhaps in this community more than in others, that this is an engineering city. Several international product giants count Pune as their India home not to mention a thriving tribe of Indian product companies. That being said did you know that Pune has been a hub for innovative “products” for years now? 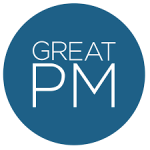 Before identifying these, somewhat, un-recognised product leaders let us list some qualities that define a product leader in our book. Keeping these in mind let us introduce you to some unexpected names who exhibit these qualities amply. Chitale Bandhu: From one of the very first dairy businesses to an iconic sweet & savoury snack shop this is the quintessential Puneri name. The unique Chitale value is built around a whole bunch of innovations that have since found favour with the wider retail industry. 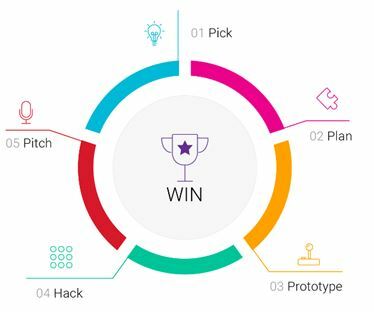 They were the first to introduce token based ordering, among the first to automate the manufacturing process and enthusiastic early adopters of IT. Even their unique afternoon time-off contributes to a customer experience like no other. Deccan Queen: Ok, we know that strictly speaking transportation is a service but which true blue Puneri will deny that the Ranee is special? Fulfilling the needs of hundreds of thousands of commuters since 1930 the Queen has constant evolved to suit ever newer customer segments – from ferrying weekend race-goers to today’s working masses. A true leader in the segment this was India’s first superfast train, the first with a dining car, with a ladies compartment and only the 2nd to be ISO 9000 certified. Film & Television Institute of India: In a city known as the Oxford of the East there are bound to be a variety of educational institutes that are truly path-breaking but one that even now is quite unique is the FTII. Since inception over 50 years ago this has been the only such institute dedicated to the various film-making crafts. Any film-making course where Ray, Lean & Ghatak have taught offers a life-altering experience almost by definition. Bajaj Pulsar: We have to include an automobile leader from the automobile city and a great candidate is the bike that changed the way 2 wheelers were perceived in the country. While bikes were becoming smaller and more fuel efficient the Pulsar came along and recognised that there was a large number of bikers out there thirsting for more power and chose to go the other way. Virtually single-handedly it carved out the segment that is today expanding ever upwards with the Royal Enfield’s and Harley Davidsons of the world making an entry. Badminton: Not quite what you were expecting right – but this is among the most successful exports to the world from Pune. The game originated in the British cantonment in the mid 1800’s as a way to keep the young men and women entertained and exercised at the same time. The game innovatively combined elements of various other games and the first set of rules were written in what was then still called Poonah. In fact so close was the association with the city that it was even called “Poona” when it entered England for the first time. How’s that for a world-beating product – kind of like Saina Nehwal! What these product leaders show us is that there is inspiration aplenty out there for those willing to find it. For those Puneri product professionals seeking inspiration remember what Jack London said “You can’t wait for inspiration. You have to go after it with a club.” Or maybe a badminton racquet! by admin	August 18, 2015 0 Com.